In the days after oil began gushing from the Deepwater Horizon well, scientists sought quick information on where the oil was traveling in the depths and how it might be affecting tiny marine life. 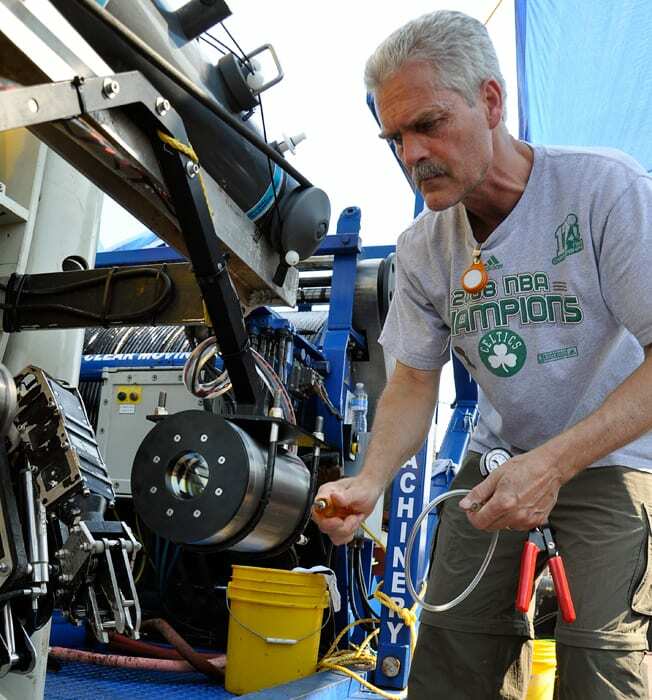 Biologist Cabell Davis dispatched to the Gulf of Mexico with two unique instruments he developed at Woods Hole Oceanographic Institution (WHOI). 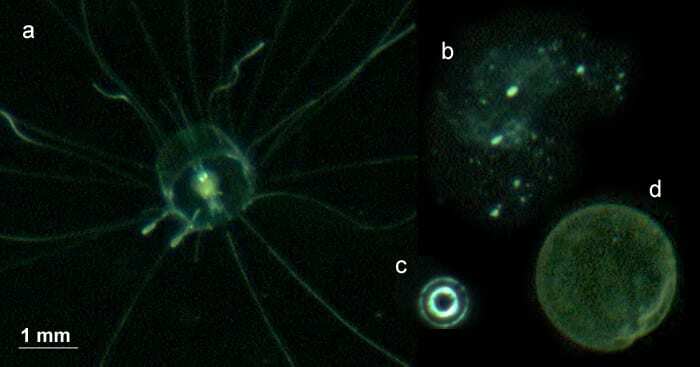 He and Nick Loomis, an MIT/WHOI Joint Program graduate student, took their new digital holographic camera system—the HoloPOD, or Holographic Plankton Observation Device—which they created to identify and measure microscopic phytoplankton and zooplankton and their eggs and larvae in the water. 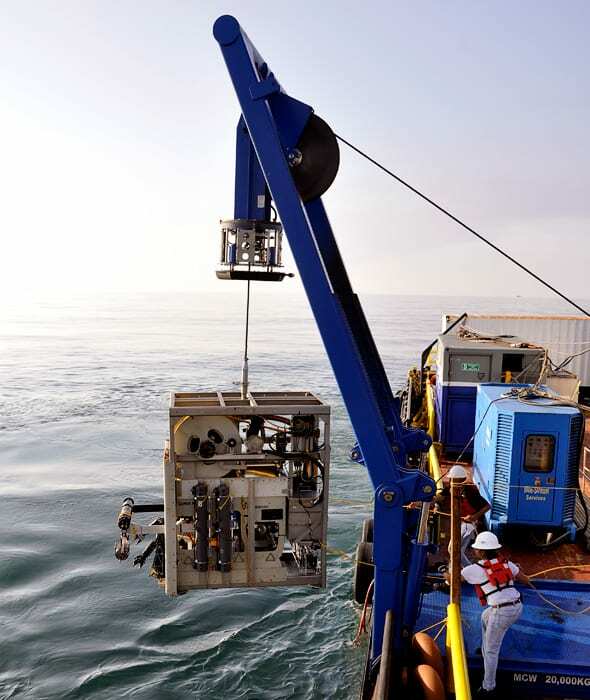 They adapted the HoloPOD to take images and measurements of similarly tiny oil droplets in the Gulf. The HoloPOD’s information is essential to create a more accurate picture of how and where oil plumes move in the ocean, said Debbie French-McCay, director of impact assessment services at Applied Science Associates, Inc. (ASA), who is leading the ASA effort to model the plume. 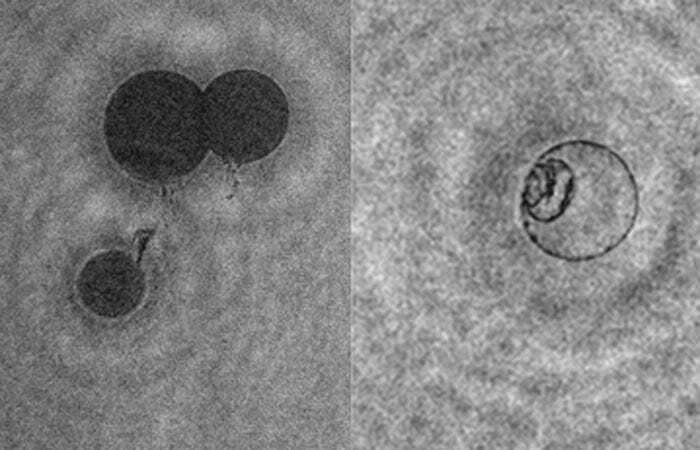 The HoloPOD tracked size changes in the oil droplets, which affected the plume’s behavior. “The plume location changed each day as currents shifted,” Davis said. Davis returned to the Gulf in July, August, and September aboard different ships, bringing the HoloPOD and his other specialized instrument, the digital autonomous video plankton recorder, or DAVPR, which takes color images of small plankton. This research is funded by the National Oceanic and Atmospheric Administration. Davis prepares the "HoloPOD," an underwater holographic imager, aboard the ship Jack Fitz before deployment in the Gulf of Mexico. Did Dispersants Help During Deepwater Horizon? An audio slideshow on a new way to use lasers to reveal tiny sea life.